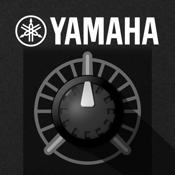 Voice Editor Essential is a simple CoreMIDI iPad editor application for editing the effects in Yamaha Synthesizers. The editor focuses on detailed editing of Insert Effects, System Effects and EQ that are frequently modified and can take advantage of the iPad’s large graphic display. Some essential global parameters including tap tempo and volume control are also included. *Yamaha MOTIF XF offers you WiFi connectivity which enables wireless control. ・In effect mode you can select and edit Insert effects, the System effects and the routing and sends and returns for all the effects in a Voice. ・You can edit the MOTIF XF’s Voice EQ and store different EQ setting for each of 50 Templates. *(1) In order to establish a WiFi connection, use the OS updater for MOTIF XF via http://4wrd.it/YAMAHASYNTH and purchase a compatible WiFi USB adapter.